Lord Vishnu is the supreme god who plays a key role in destroying the evil forces and enemies to establish peace in the world. He is also known by several other names. According to Vedic scriptures, performing homam or rituals on him will lead to several benefits for living a better life. Keshava Vishnu homam is mainly meant for those who want to get relief from bad lucks, ill effects and complex issues in life. Many people face obstacles and problems in their life due to threats from enemy forces. It is advisable to organize Keshava Vishnu homam for reducing risks in life. 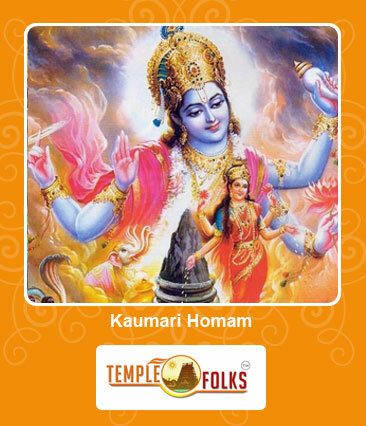 This homam plays a key role in living a protected life. Keshava or Krishna is the incarnation of lord Vishnu who follows the path of dharma. Anyone who wants to obtain the blessings of Sri Krishna can organize this homam to ensure better prospects. Keshava Vishnu homam is a suitable one for those who want to overcome complications in life to a wider extent. It makes feasible ways for obtaining optimum results by addressing exact needs. People who want to prevent bad lucks and other problems can choose this homam to get desired outcomes. Vedic folks is a leading Vedic consulting firm which helps for conducting Keshava Vishnu homam at affordable rates. Expert scholars will help to organize the homam followed by fire rituals for achieving goals in life. In addition, it is possible to consult with them for doing the homam after analyzing the birth chart reports. One can also book it through online in advance for planning the event according to needs.